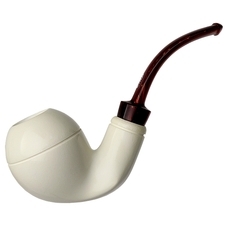 The Acorn shape, on its own, is normally a shape that feels natural in the hand. 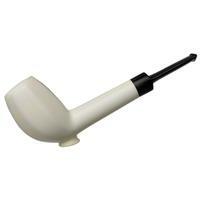 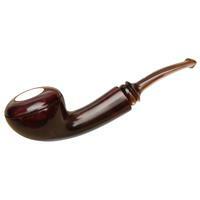 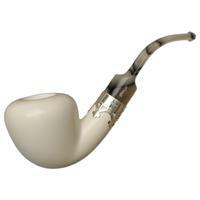 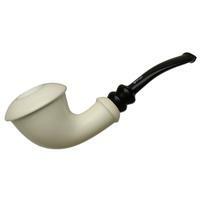 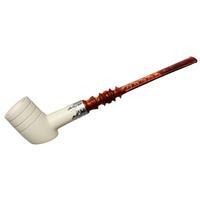 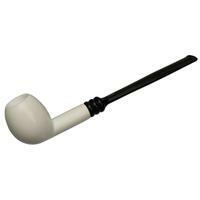 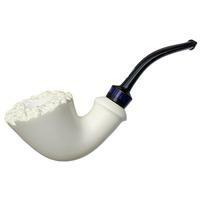 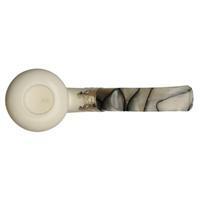 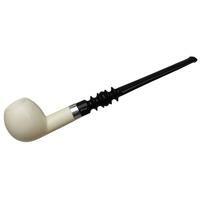 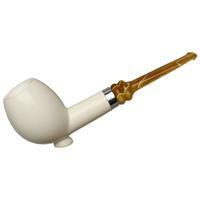 Render it in smooth, porous meerschaum, however, and it becomes even softer when gripped — making for a comfortable smoke indeed. 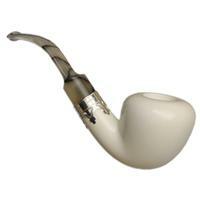 This is a particularly nice example, sporting a plump style of bowl, accented by a broad, crown-shaped band of sterling silver.